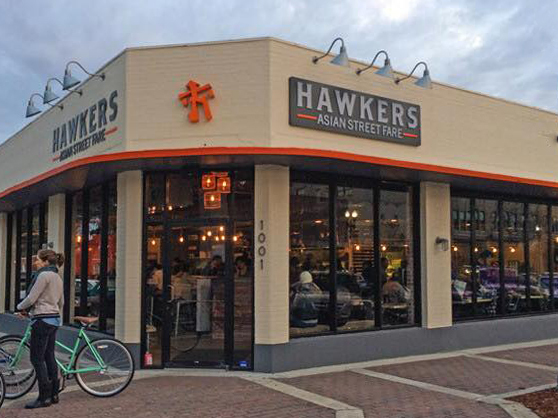 HAWKERS Asian Street Fare’s Orlando, Florida flagship restaurant is located on the bustling main street of the Mills 50 District. A culturally diverse community with an active Asian influence, Mills Ave. is an eclectic and unrefined urban gem for foodies, shoppers, artists, and neighborhood dwellers. HAWKERS Delray Beach will be the flagship South Florida location. Located in sociable downtown, Delray Beach is a warm and friendly beach town situated along the Atlantic Ocean. Along the avenue, you’ll find restaurants, quaint places to stay, and fashionable places to shop. Delray Beach is a small fun town with lots of flavor. HAWKERS St. Pete is located on Central Avenue in the award-winning downtown historic EDGE district. The bustling street is an active experience destination wrapped in public art, rooted in community and preservation, and filled with food, fun, and culture. HAWKERS Neptune Beach is situated a stones throw away from the Atlantic Ocean. The casual, pedestrian-friendly haven is packed full of indoor and outdoor experiences for travelers and locals to enjoy. HAWKERS Five Points is nestled on a prominent corner in vibrant Jacksonville’s Riverside-Avondale district. The ‘Bohemian Neighborhood’ appeals to visitors looking for eclectic dining, entertainment, and retail in a historic core of the city.